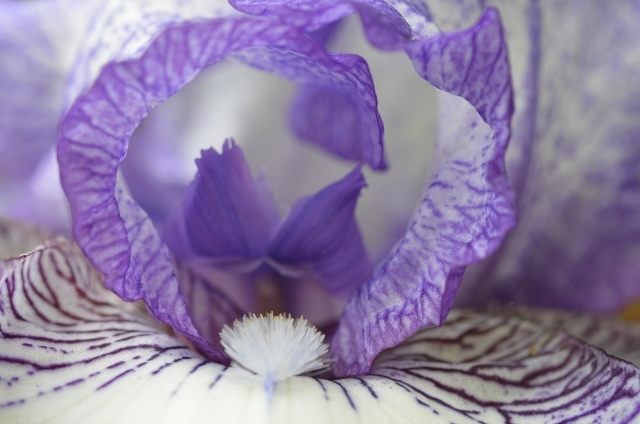 This is a close-up of a bearded iris blooming in the yard (Germanica Hemstitched). The nice thing about a macro lens is that you see things you never noticed before such as the fluffy “hairs” and the inner part of the bloom. It is a reminder to be a closer and more thoughtful observer of the wonderfully diverse world surrounding us. What an excellent photo! And I like your accompanying thought. (found your blog thru the WordPress topics list) keep up the good work! Excellent photo Mary!!! This world we call home truly is a spectacular place! Absolutely stunning macro shot. I love your header birdy shot too!! Thanks for the comment–I am very much a beginner with using the camera but working on learning. The header shot of the birds is a purchased stock photo but I liked the colors and subject. I look forward to visiting your site.